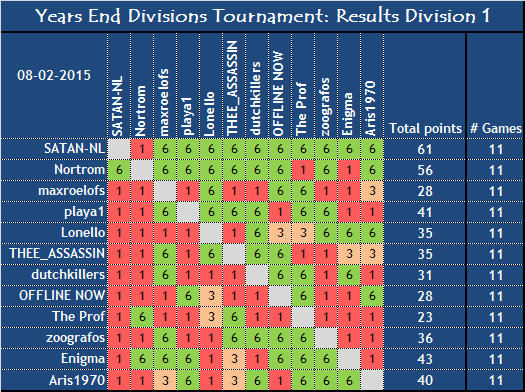 Here we will publish acknowledged results for all divisions, and will strive to update this pretty frequently. We kindly ask you to not reply to this thread, but rather use the Bomb of Spies or Questions thread for that. Note that this is a results thread, not a ranking. 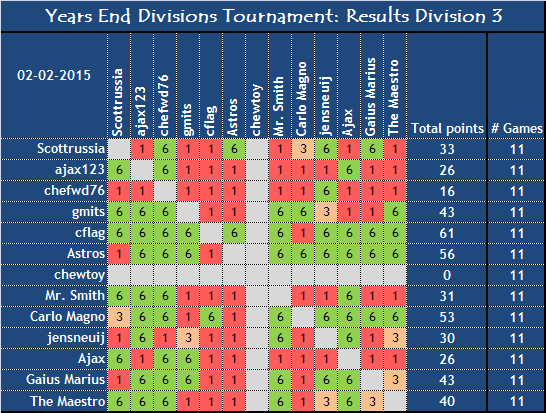 Players will remain ordered by their initial seed, which represents the amount of prior collected Tournament Ranking Points. 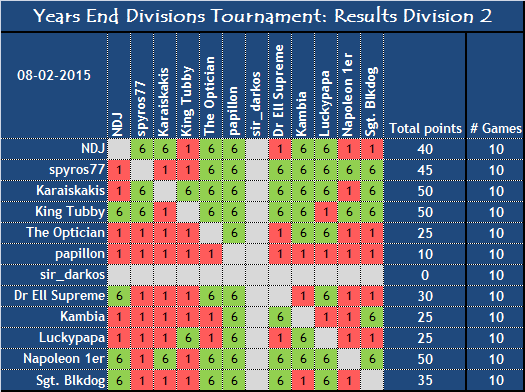 The final standings (ordered) will be published when all matches have been played. Note that every player plays another only once, but that results will be automatically mirrored, so that each player only has to consult his own row. Every 1 point is mirrored with a 6 pointer, 6 pointers with 1, and 3 points with 3. We consider it more clear this way.